TURIN, Italy -- Fiat Group CEO Sergio Marchionne said today he has absolutely no intention to run Chrysler LLC if the two companies complete a proposed partnership. There is not going to be a direct operating responsibility, he told reporters in a conference call. 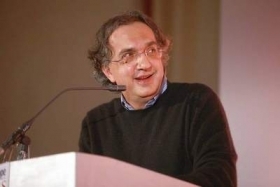 But Marchionne would join Chrysler LLCs board as one of Fiats three members of a new seven-member board, he said. I have not made yet a specific time commitment to Chrysler, but turning Chrysler around is part of the process of strengthening Fiat Group automotive operations. Thus it is simply part of my job, he said. Insiders say the concessions Marchionne mentioned include debt-to-equity conversions that Chryslers bank lenders must make to assure the viability of the ailing U.S. carmaker. Privately owned Chrysler, which does not report financial results, is said to have about $9 billion in bank loans. The conversion of all or part of those loans into equity would be done before Fiat gets 35 percent of Chrysler stock in exchange for Chrysler access to Fiats platforms and powertrain technologies. Fiat sources said the company values those assets at about $3 billion. Marchionne said he looks forward to working with Chrysler CEO Bob Nardelli and co-President Tom LaSorda. They have been doing an excellent job there [at Chrysler] and I really hope they will continue doing so, he said. He said he doesnt plan to join Chrysler management when it presents its viability strategy to the U.S. Treasury Department on Feb. 17. I think I would be of almost no use on Capitol Hill, while Nardelli and LaSorda would do a much, much better job than me there, he said. Fiat is undergoing a due diligence of Chryslers books, which is expected to be completed by the end of the month, or before the February hearing. Fiat expects to sign the definite agreements for Chrysler before April 30.